This is my 5th year raising money for AIDS Walk Los Angeles and will also be performing with Cheer Los Angeles while participants walk down the route. Last year, I raised $1,350 and this year, I've set an ambitious goal of $1,500. Every dollar we raise helps APLA Health stop new infections and support people living with HIV/AIDS. In 2017, WE RAISED OVER $12,700 for AIDS Walk Los Angeles, with CheerLA, and I personally raised $1,350 for AIDS Walk LA! New year, new goal. 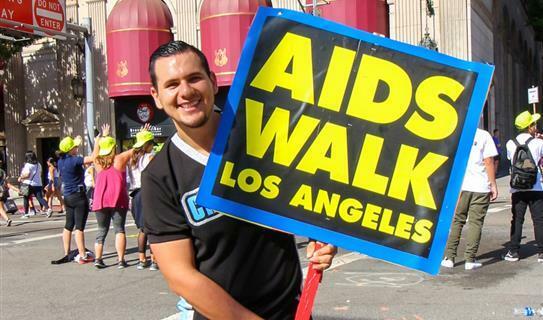 Help me raise $1,500 for AIDS Walk Los Angeles! In 2016, with Cheer Los Angeles, we raised $8,865 for AIDS Walk Los Angeles!